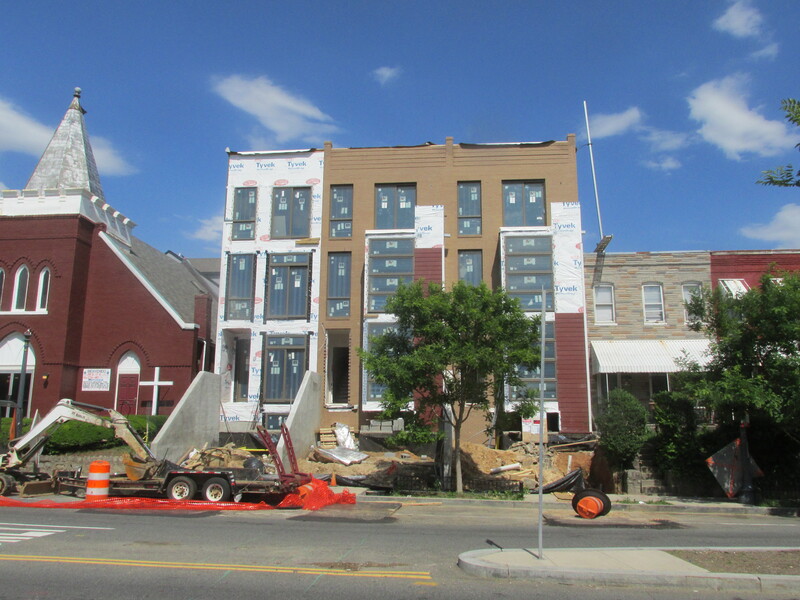 Checking Out Progress of Development at Sherman and Lamont | Park View, D.C. Thought I’d check on the progress of the development located at 3229 Sherman, just south of Lamont. Construction began in October 2016 and replaced an old wood-frame single family home that was built in 1890. The new structures should provide six new units of housing. This entry was posted on May 18, 2017 at 7:01 am and is filed under Development, Housing. You can subscribe via RSS 2.0 feed to this post's comments. wonder if anyone saved the original wood timbers from that old structure. they would have been great to incorporate into a project.